Malik "Steel" Thompson is staring down his twenty year mark as a Navy SEAL. He has a life choice to make...re-up or retire. His folks urge him to take over the family blacksmith business back home in Montana. 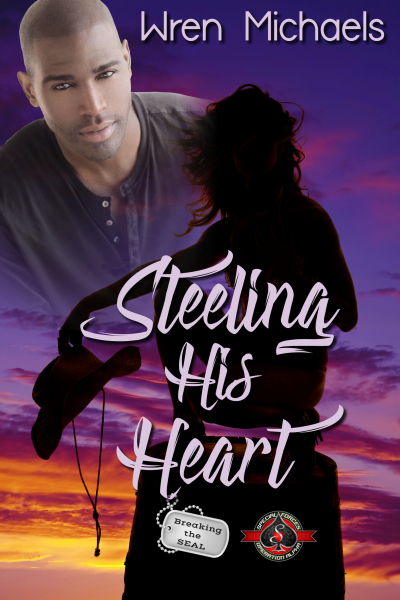 Steel's never been anything but a military man, and the thought of a civilian life, especially in Great Falls—the place he couldn't wait to get out of at eighteen—is not the way he wants to go. When Letty witnesses something she shouldn't, she'll lose more than the race. She could lose her life. With the help of ex-SEAL, John “Tex” Keegan, Steel takes on the fight of his life, one he's familiar with—taking down the bad guys. And one he's not—fighting for his heart.